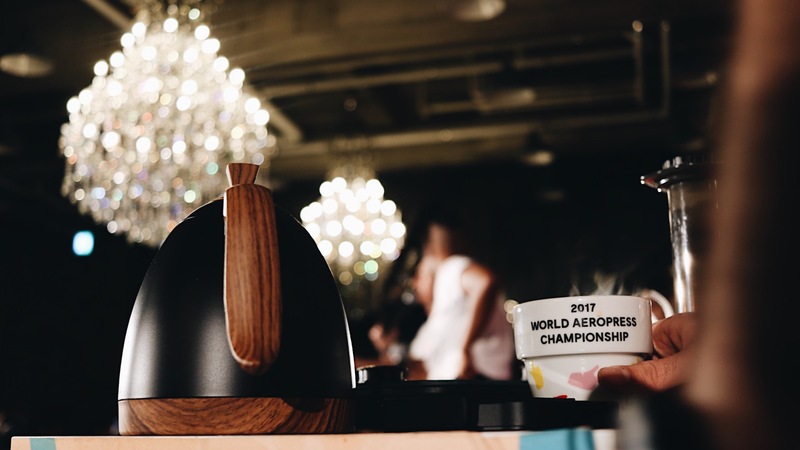 The 2017 World AeroPress Chamionship set a new record, with close to sixty contestants from around the globe at Cafe Alver in Gangnam, Seoul. Click the Youtube video below to watch the event and interviews with the AeroPress event Organisers. 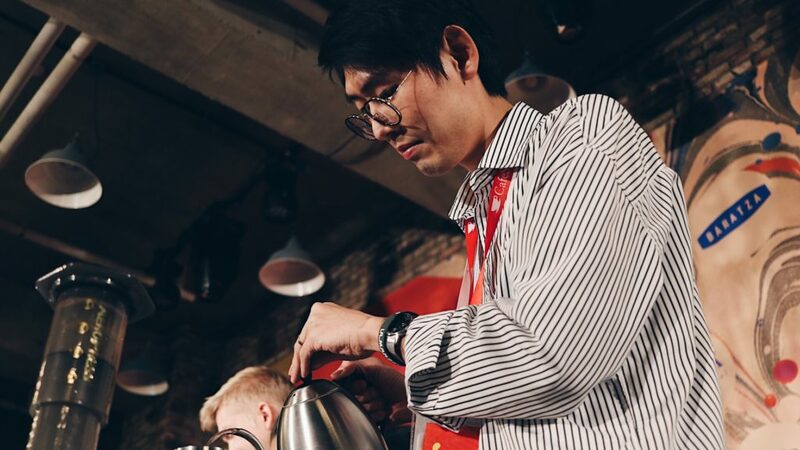 Seoul, the host city of the 2017 World Barista Championship, was absolutely buzzing with caffeine and coffee aficionados. The Seoul Cafe Show took place at the same time and the who’s who of the industry all flew in for the weekend. 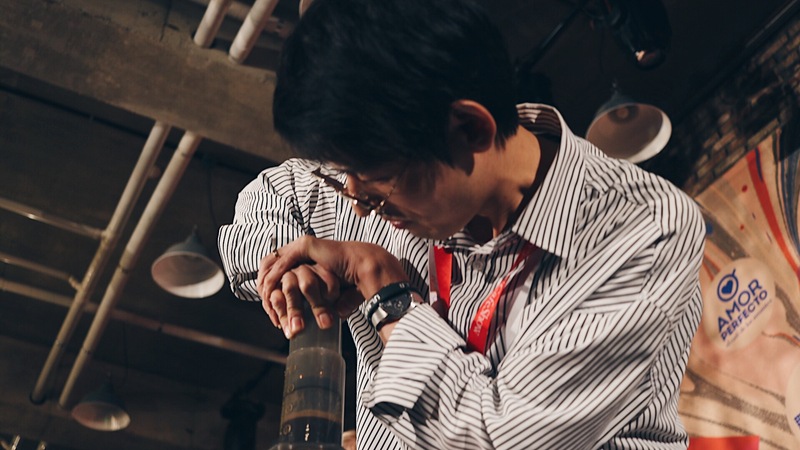 People like Sasa Sestic, former World barista champion, Hidenori Izaki and many others could be spotted roaming around the Show. Attending the World Aero Press Championship was a huge highlight for me. The atmosphere before the competition started was electrifying. With my much prized media pass, I could slip onto the floor at which the competitors were prepping and psyching up. Tables were lined up with each contestant’s name and country on a signboard. What a thrill it was to see all these countries represented! Quite naturally, my eyes were scanning for South Africa! 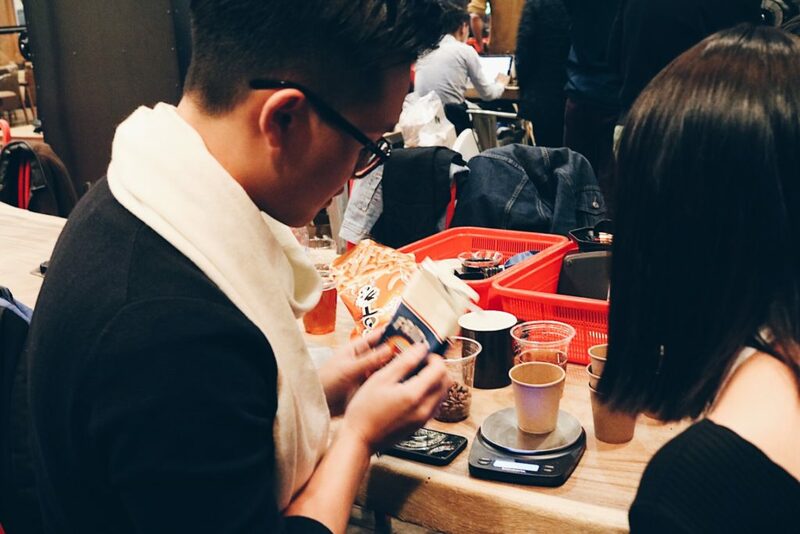 I surveyed tables galore scattered with Fritz coffee beans, grinders and water at which each contestant sat painstakingly preparing for their round. It wasn’t long before I found the South African Aero Press champion Khan Chang. We chatted briefly and then headed off to the main floor for the competition. This was a “pinch me is this actually real moment”! The hosts and the shiny chandeliers all added to the grand appeal of the competition. 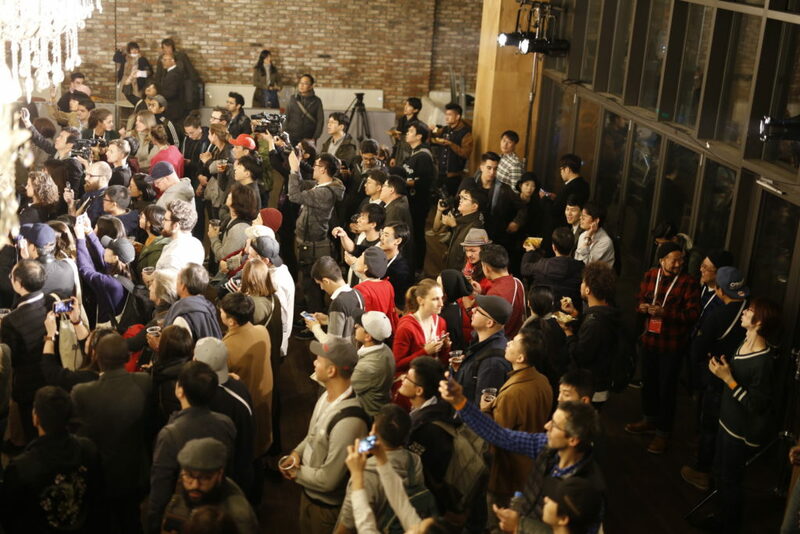 My absolute favourite part of this event was the non-conformity. It’s an “all are welcome” affair. All sorts of people, wearing all sorts of clothes and styles could be seen. 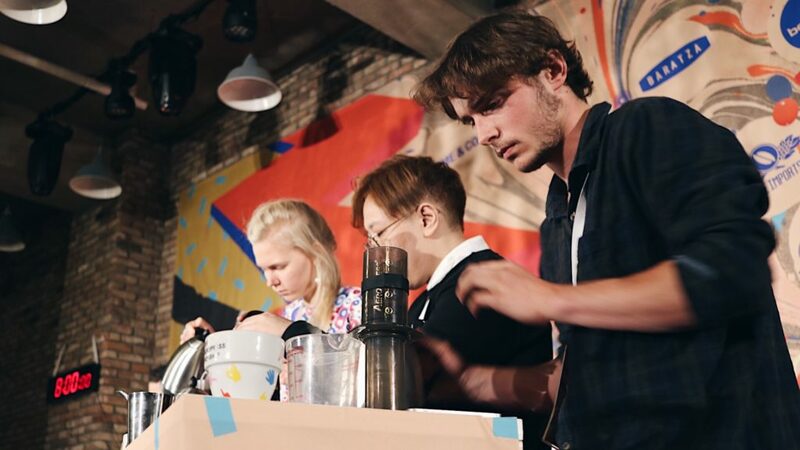 The coffee industry is a heavily male dominated environment…I initially set out to interview the organisers of the event and enquire about the female contestants. I was overjoyed to hear that 16 women were competing for the title. I was ecstatic when the winner was announced: a female. Hash tag # “women in coffee”. 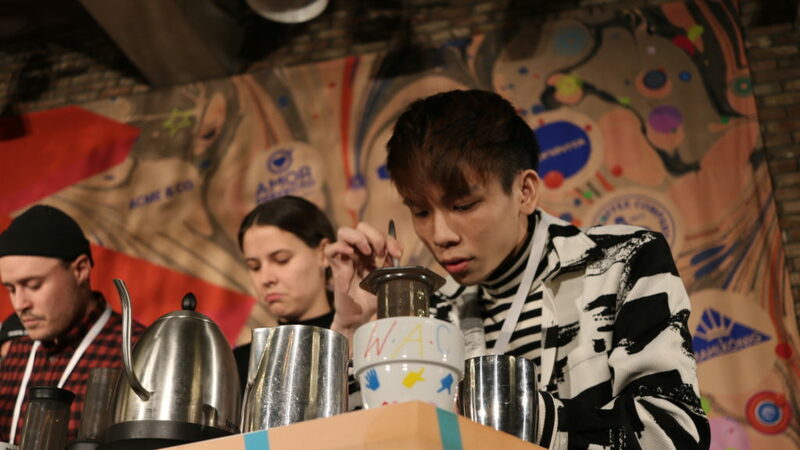 The finals boiled down to Yusuke Narisawa representing Japan, Panda (Paulina) Miczka representing England. 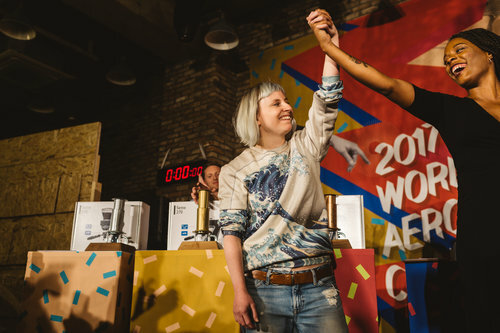 England’s Panda (Paulina Miczka) won the World AeroPress Champion title. 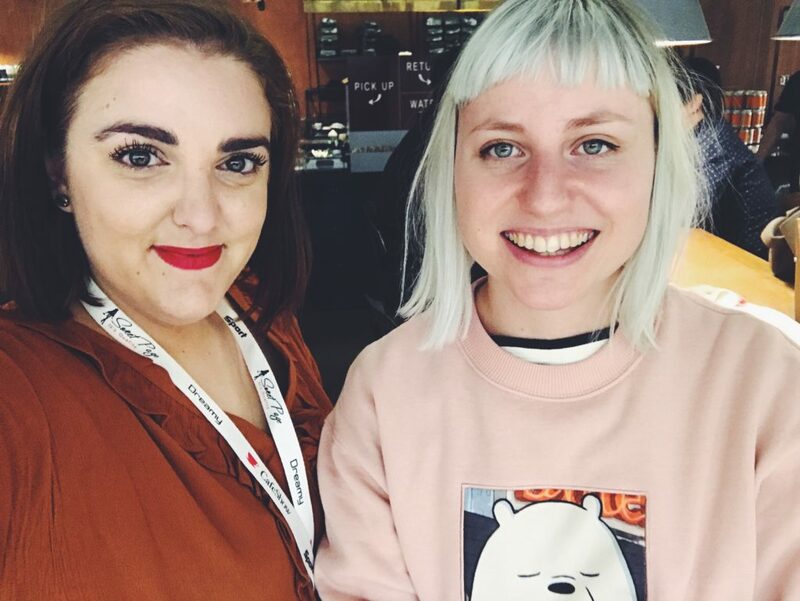 I had the honour of sharing a chat with her during the Seoul Cafe Show. 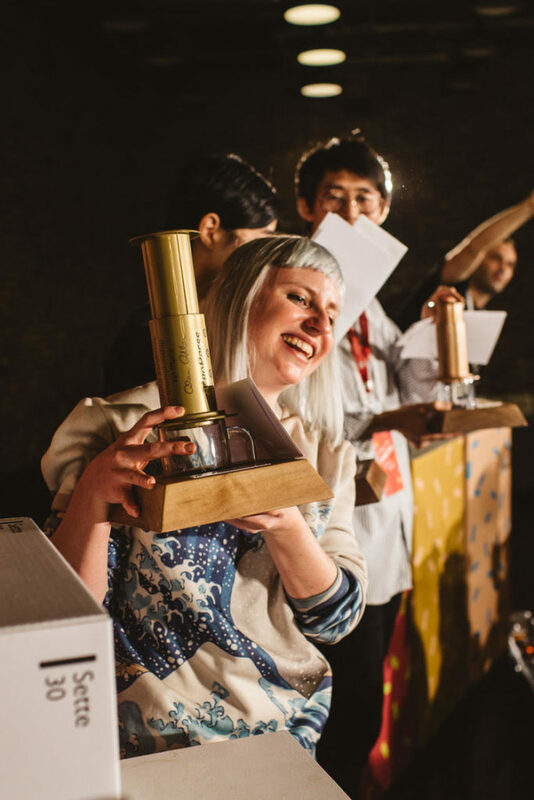 Panda had already clinched the 2015 and 2017 England Aeropress championships, and I wanted to hear her story. 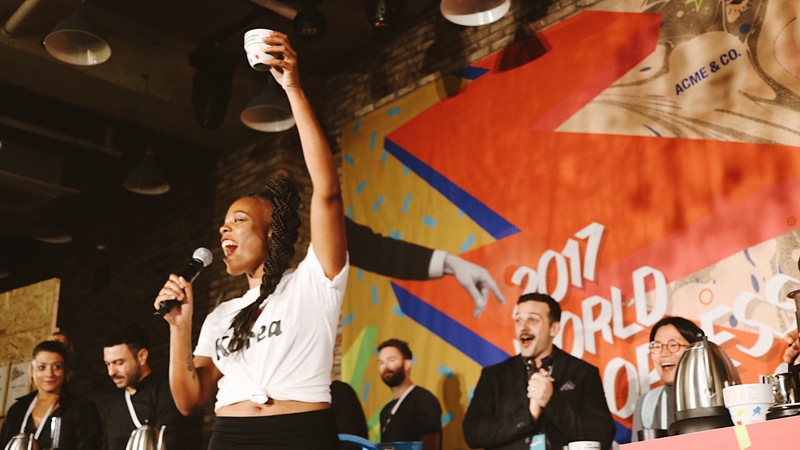 Her coffee journey started six years ago when she finished high school and was not sure which direction to take. “Gap year” was not a popular concept in her family. Panda decided that taking a year in which to work and think would be her best option. 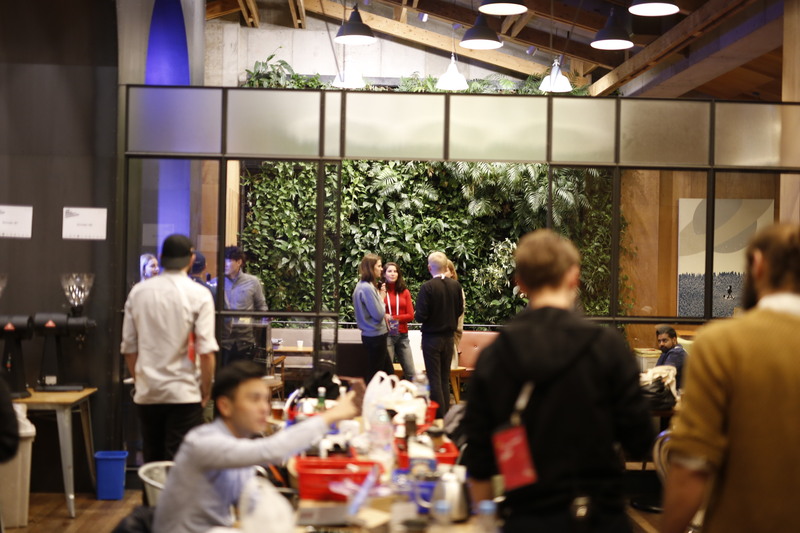 A cafe serendipitously opened the day of her last school exam, and they offered her a job. I’m so excited to see what’s next for Panda, as well as for the Aero Press championship. 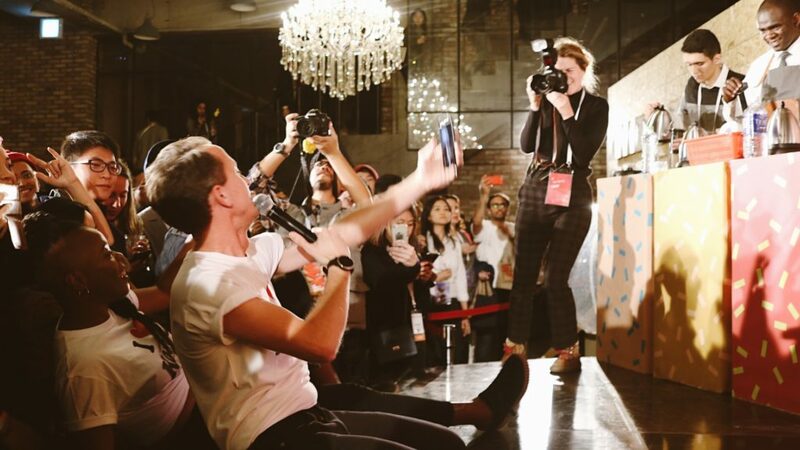 Be sure to watch my blog interview with the organisers, as well as of the event. The link can be found at the beginning of this article or by clicking here. Soufflé Pancake Craze Comes to Seoul!